Radicals in Miniature is a series of “performed-odes” to personal icons who flourished between 1967’s Summer Of Love (not everyone’s love) and 1982/3 when mainstream press first printed the word “AIDS.” Many were felled by the disease that capped the era, others couldn’t navigate the winnowing force of the latter 80’s “professionalizing” what had been creative margins, still others never imagined consolidating their personal radicalism for public consumption - they disappeared when their “life-performance” ended. 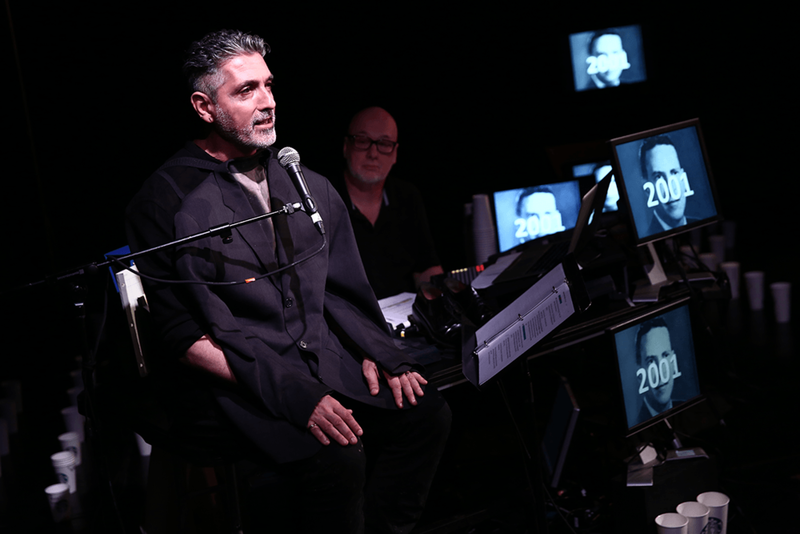 Onstage, Gordon and Quillen (a gay man and straight man of different generations) speak, sing, play, and partner to offer alternative elegies to these under-sung. Ain Gordon is a three-time Obie Award-winning writer/director/actor, a two-time NYFA recipient, and a Guggenheim Fellow in Playwriting. Gordon’s work has been seen at BAM Next Wave, New York Theatre Workshop, Soho Rep., Public Theatre, 651 ARTS, Dance Theater Workshop, PS 122, Baryshnikov Arts Center, and HERE (all NY); Mark Taper Forum (CA), George Street Playhouse (NJ), Vermont Performance Lab, Flynn Center (VT), Krannert Center (IL), Quick Center, Arts & Ideas, and Connecticut College (all CT), MASS MoCA, DiverseWorks (TX), Jacob’s Pillow (MA) and the Painted Bride (PA), among many others. He has been Co-Director of the Pick Up Performance Co(s) since 1992. Josh Quillen has forged a unique identity in the contemporary music world as an all-around percussionist, expert steel drum performer (lauded as “softly sophisticated” by the New York Times), and composer. A member of the acclaimed ensemble Sō Percussion since 2006, Josh has performed at Carnegie Hall, the Brooklyn Academy of Music, The Lincoln Center Festival, as well as many others. 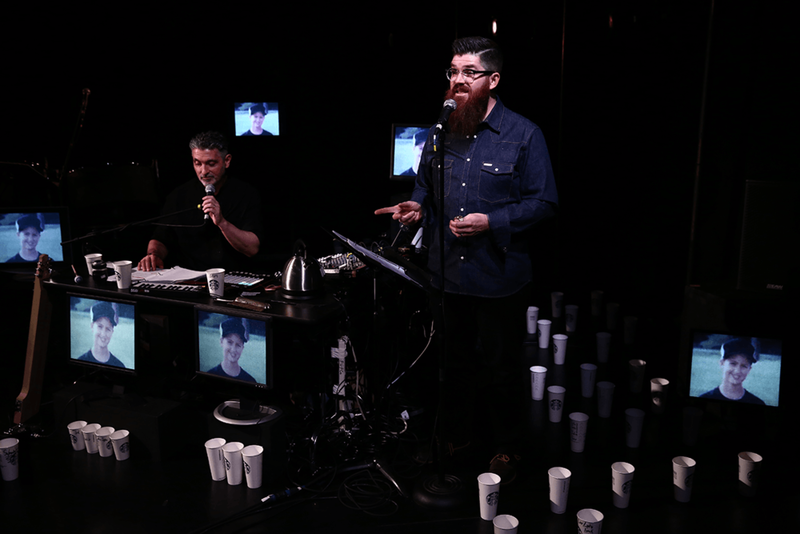 Previous to “Radicals In Miniature,” Josh twice collaborated with Ain Gordon on original evening-length works for Sō Percussion premiering at the BAM Next Wave Festival. Founded in 1971 and incorporated in 1978 (as Pick Up Performance Co., Inc.) to facilitate projects by David Gordon, the company was expanded in 1992 to include projects by Ain Gordon and renamed Pick Up Performance Co(s) in recognition of the dual father/son leadership with independent projects by each artist. PUPCos continues to be artist-led with multi-generational NYC roots supporting the wide-roaming interests of both artists in dance, theater, media, social practice, and the fusing of disciplines. This work manifests annually in both New York City and nationally. For 49 years PUPCos has charted a personal aesthetic path. Funded in part by the Expeditions program of the New England Foundation for the Arts, made possible with funding from the National Endowment for the Arts, with additional support from the six New England state arts agencies. Radicals in Miniature was made possible, in part, with support from New York City Department of Cultural Affairs, the Fan Fox Leslie R. Samuels Foundation, the Howard Gilman Foundation, New York State Council on the Arts, and a Foundation for Contemporary Arts Emergency Grant. Additional Residency support was provided by the Baryshnikov Arts Center, Marlboro College, and the Vermont Performance Lab.